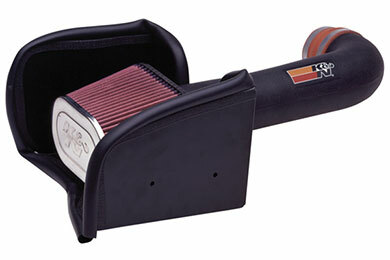 K&N 57-1516 - K&N 57 Series FIPK Air Intake (50-State Legal) - FREE SHIPPING! MPG- loss 13 down to 12.7 with new large MagnaFlow muffler. I did have a manifold leak at the time. IDK if that matters. 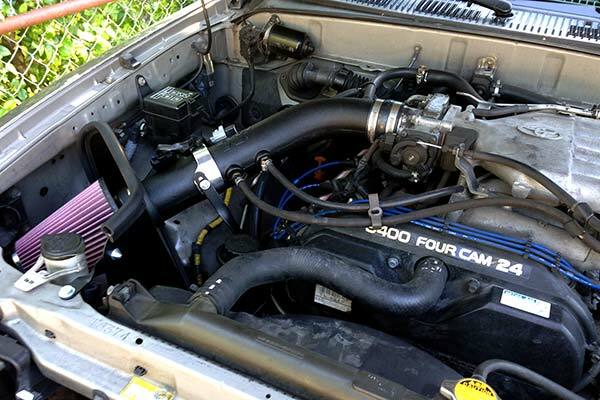 I think MPG will improve when I get a tune-up and install an in-line performance module. I may need a more efficient fuel pump or injectors, we'll see. 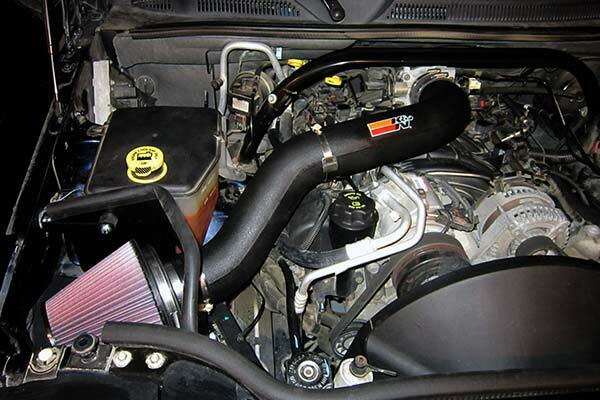 Performance- Nice little HP and torque boost, probably close to "as advertised". RPMs- more of em' & higher faster & more freely. Fewer RPMs at cruising speed. RPMs stay lower longer with a light foot. Shifts like a kitten. 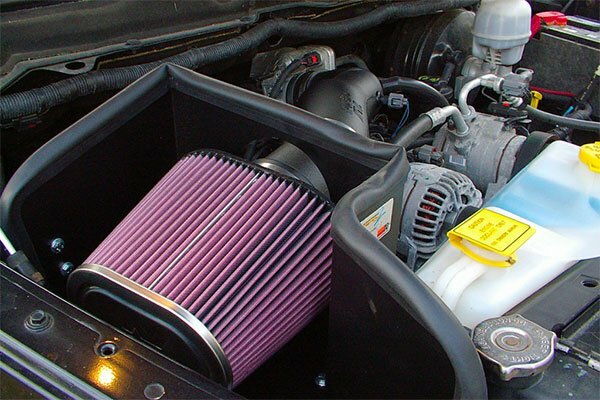 Just installed the Kn filter set up. It seems that the acceleration has improved slightly. The noise sounds similar to the old four barrels kicking in. It definitely resonates into the cabin. My truck has a magnaflow muffler so it's a little loud but nice. The instructions were pretty clear and installation took a little over an hour. The system mounts solidly. I would've preferred metric bolts for installation just so everything is uniform. I would rate it 4 stars across the board. 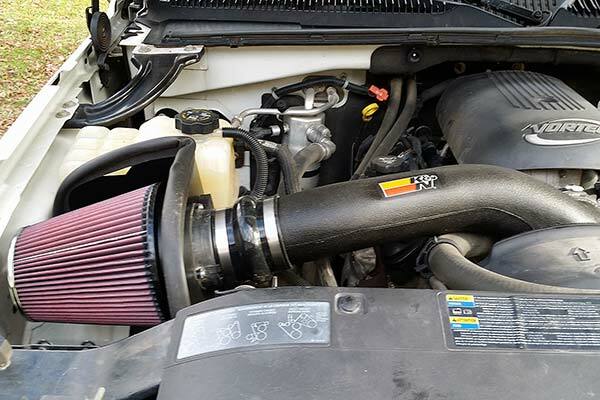 I have used several K&N air intakes before on several of my previous owned vehicles and my most recent one has meet all my expectations. I have always been completely satisfied with them all. 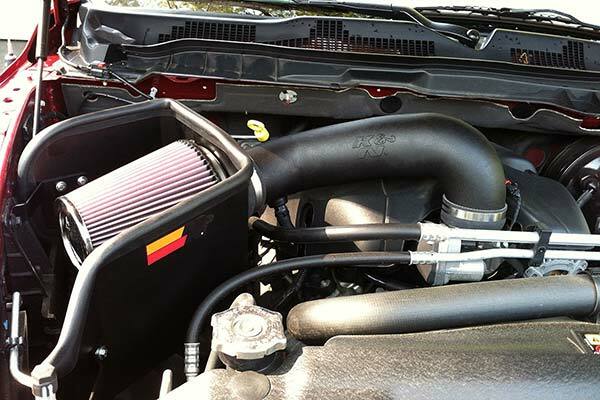 You cannot go wrong with a K&N product. 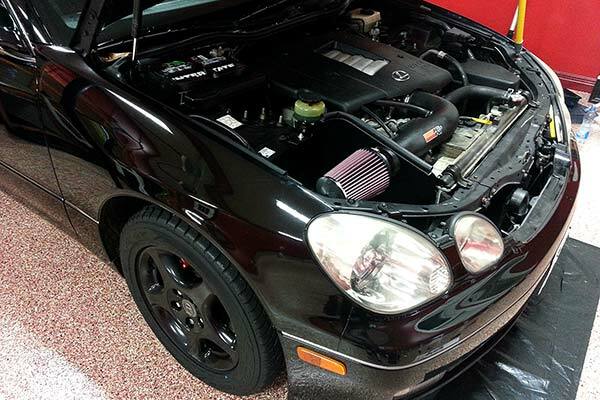 Sounds great, I love the increased power and throttle response. 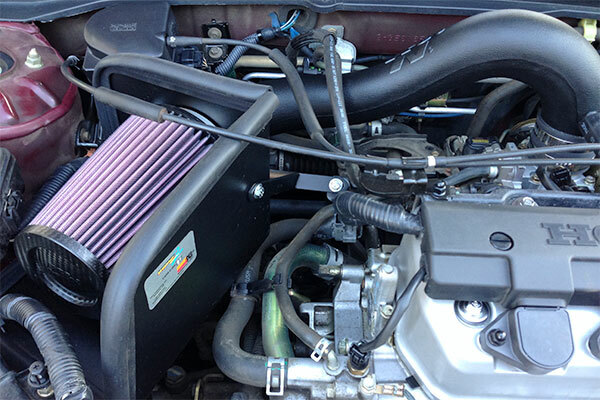 Install wasn't too bad either (the gasket and oxygen censor was a bear to get just right). Also, I didn't use a funny Y bracket that came with (didn't need it and it didn't line up with my truck). Overall, I love it! 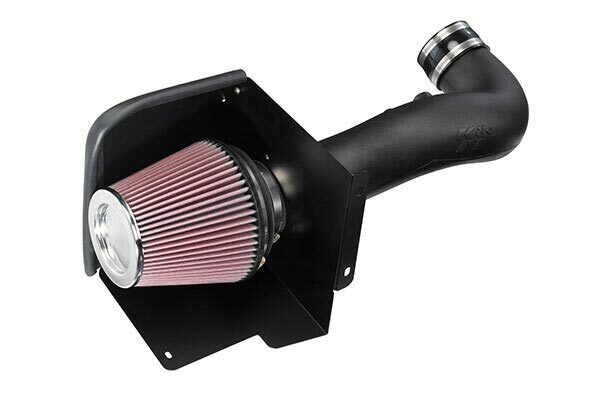 Sounds great with my Magnaflow cat back exhaust. Autoanything delivered within the expected time. I'll definitely buy from them again. Bought this one because it is CARB legal. Installed in about 2 hours due to some tight areas and necessary cuts. Sounds great. Have not seen any mpg increases at this time. Seems to give the truck a little more pep. 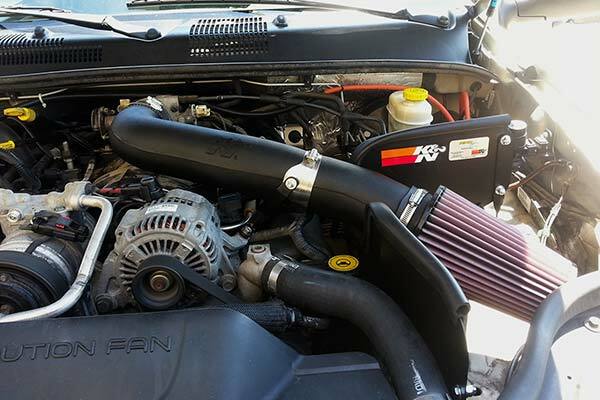 I love my K & N air intake. When you hit the gas hard the sound of it sucking all that air into the carb is great. Well, is it worth it? Jury's out. 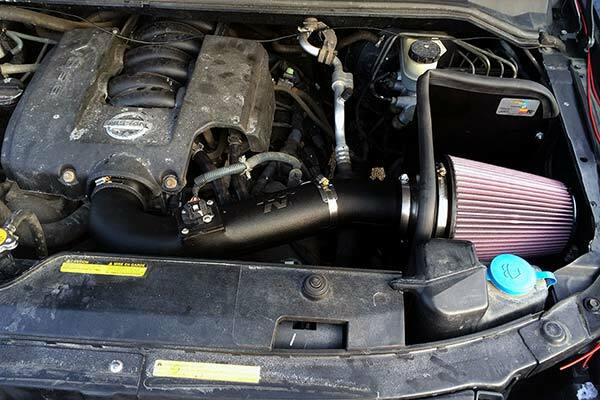 Was a replacement for a drop-in insert K&N.As one reviewer correctly stated it is NOT a CAI (cold air intake system),even the OEM system at least partially is.Install went to 2-1/2 hrs.and I do know my way around a wrench.Instructions/pics a lacking in detail/clarity(was not possible to put one bracket on first as stated and then insert air box - must be done the other way around,and at no point did it state for the un-initiated when ALL the fasteners be tightened. ETC. Awesome and easy to install! 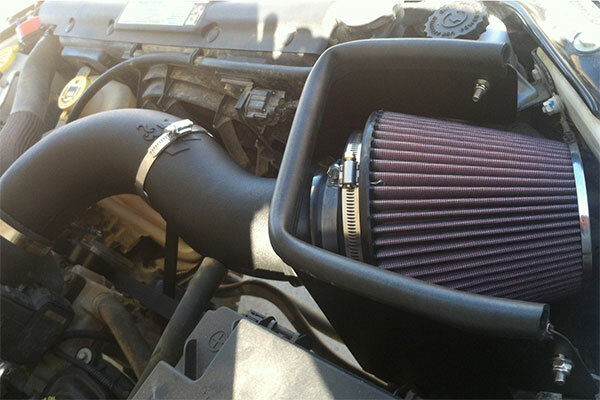 K&N kit was easy to install, about 20 mins from start to finish, and fit perfectly! Sounds amazing and definitely improved performance. Highly recommend! i wanted more power at take off, and i got just what i wanted. this product works great. 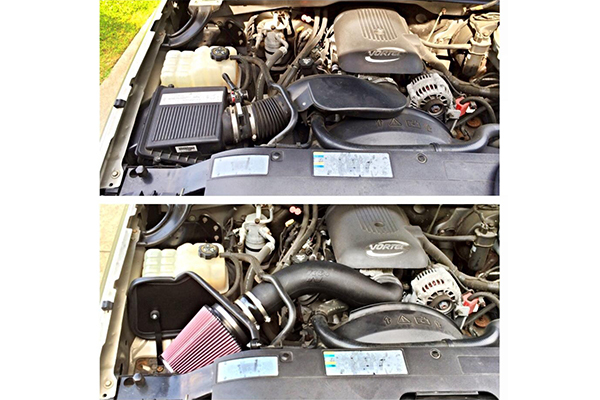 After installing the air intake with a Flo Master muffler I couldn't believe the difference. 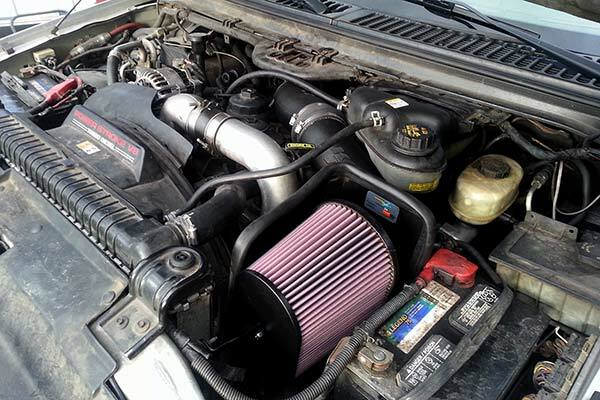 It turned my standard old Dodge Dakota into a new toy that sounds and runs awesome. Haven't checked the gas mileage difference yet but I'm sure its going to be better than it was if I can ever keep my foot out of the throttle. The truck just runs better. Should have done this years ago. Thanks K&N. 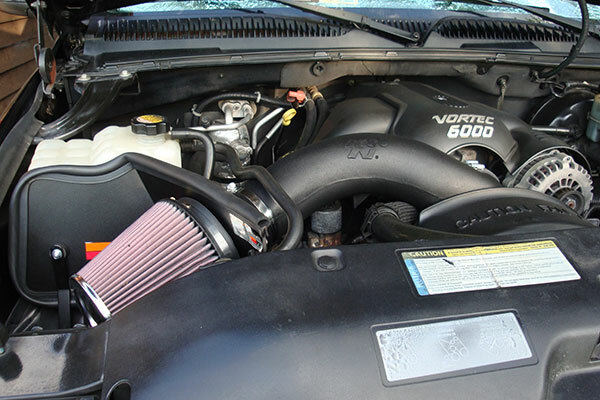 feels great right out of the box, definitely saves on gas and sounds like a truck is suppose to sound like, in combination with the flowmaster exhaust system. Very easy to install, took maybe a hour. I can feel better throttle response & has more pickup! Haven't checked mpg yet. My truck has 135,000 miles on it. I also installed a Gibson cat back exhaust & a superchips programmer. Good price. Fast shipping. Easy install and looks good. Combined with my Flow master dual exhaust it makes a nice rumble sound. 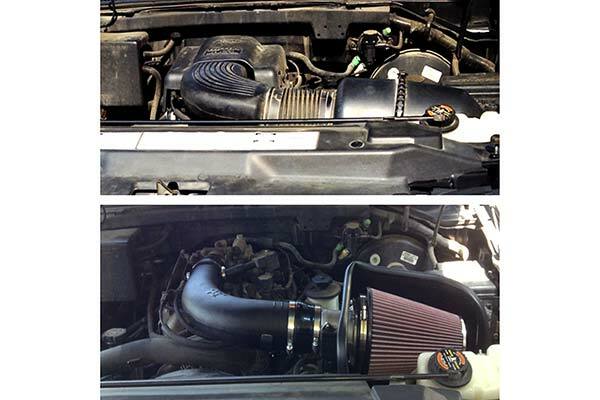 Easy to install, looks great under the hood throttle response is greatly improved, and makes exhaust sound awesome. Plus I don't have a lag between 2nd and 3rd gear anymore. My advice if your thinking about buying the 57.series don't Waite. 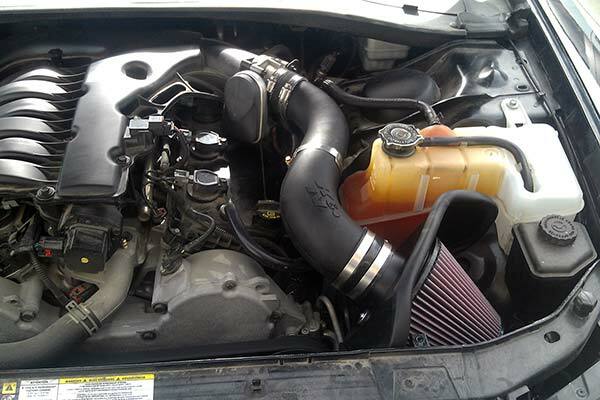 You will love this intake! Easy to install. Had to drill a 3/4 inch hole. Sounds amazing! 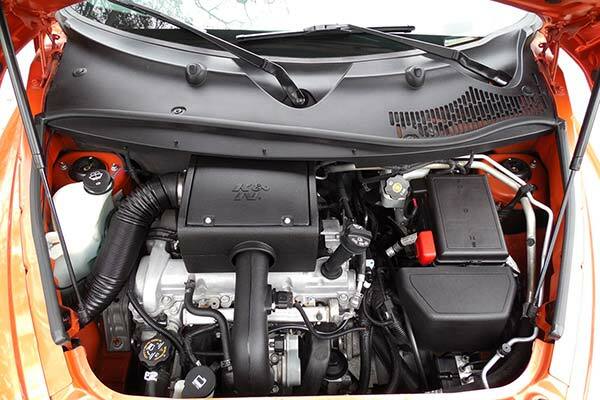 Will wake up your engine. Very easy to install, no issues. Any gas savings I might have gotten have been lost so far as I am still enjoying the extra get up and go! Sounds great up at speed. Not too crazy about the sound while sitting still, too much whistle, but the trade off is worth it I guess. I would do it again. 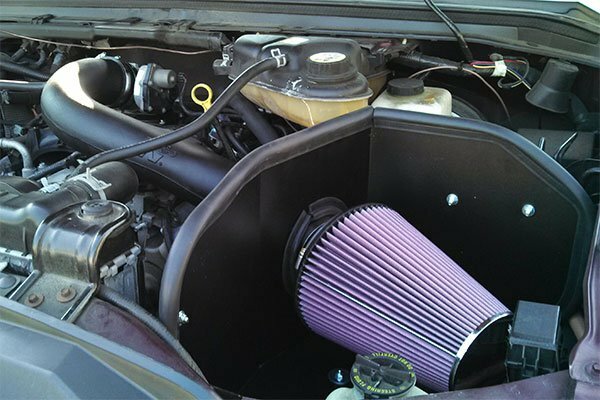 I installed the filter on my 4.7 Dakota and didn't test drive. The next morning when I got on the 70 mph interstate about a mile from the house I had to gouge on it to merge with a line of trucks. The extra power was noticed and useful. Sound at full throttle was awesome but I couldn't hear it at 75 mph cruise. Fast shipment...lowest price ANYWHERE...fits perfect..What else can you ask for? 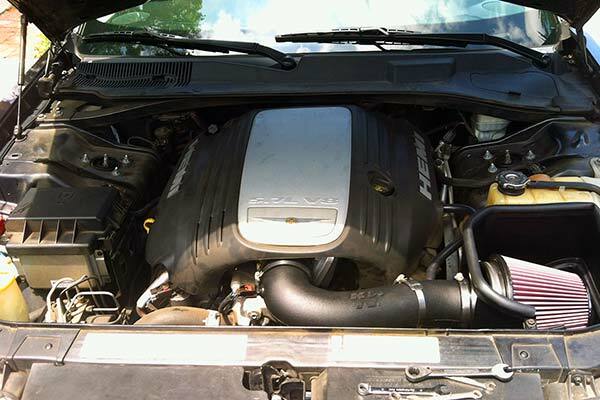 This was my first purchase with Auto Anything and I will return for future auto needs. I love this kit. I immediately felt better throttle response. There is a definite notice in torque increase. My exhaust is now louder with a nice idle tone. I haven't had it on long but i have already notice a slight increase in fuel mileage. The down side is that the kit is not for trucks with a body lift. Otherwise, I highly recommend this kit. 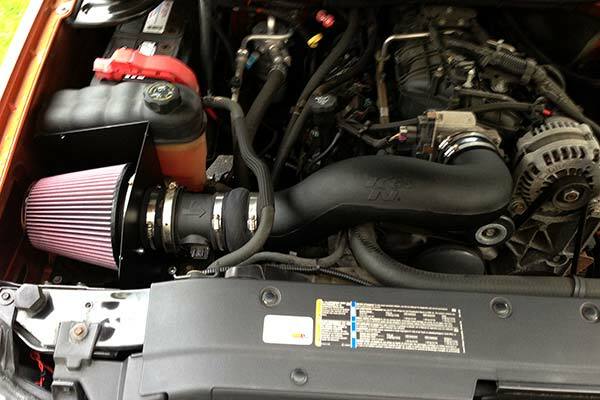 THE K&N FIPK AIR INTAKE FIT JUST THE WAY YOU SAID IT WOULD ONLY TOOK ABOUT 45 MIN TO. MY MPG WENT UP SOME WITH THE FIRST TANK OF GAS SHOULD DO BETTER IF I CAN KEEP MY FOOT OFF THE FLOOR WITH THE IMPROVEMENT IN HORSE POWER. 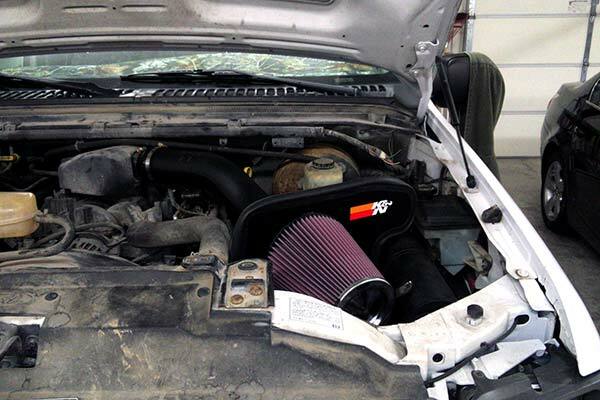 Love my new intake. Installation was simple, although the hose clamps could be a bit bigger. 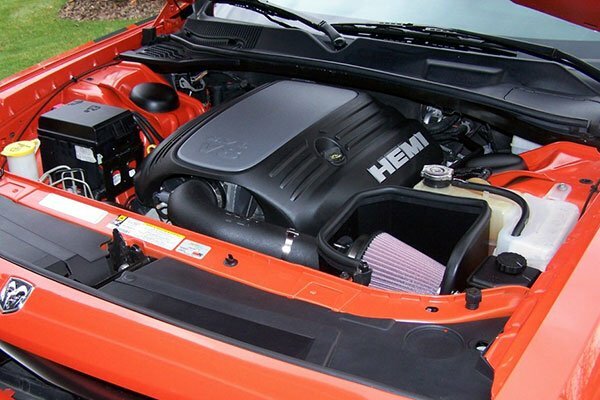 Looks good under the hood and I love the sound. The extra kick in the seat is great too. At least my neighbors---either they luv it or hate it....in near future if the price is rt. am going to get the pipes. Reference # 765-166-029 © 2000-2019 AutoAnything, Inc.